In the study, Robatjazi, LANP Director Naomi Halas and colleagues performed a proof-of-principle demonstration of a process known as the reverse water-gas shift reaction at ambient temperature and pressure under laboratory conditions that simulated sunlight. The reaction transforms carbon dioxide (CO2) and hydrogen gas into carbon monoxide—a feedstock for chemical manufacturing—and water. 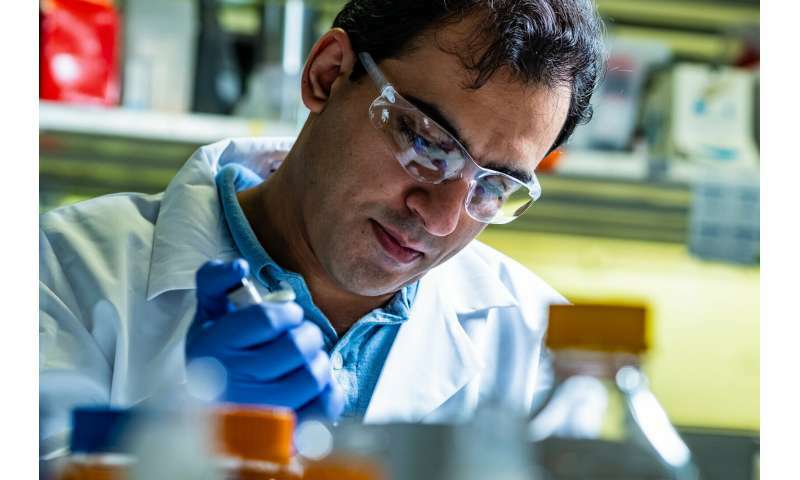 By varying the reaction conditions, Robatjazi found he could control how much of the aluminum surface he etched away, and thus control the final size—and plasmonic properties—of the plasmonic particle inside. 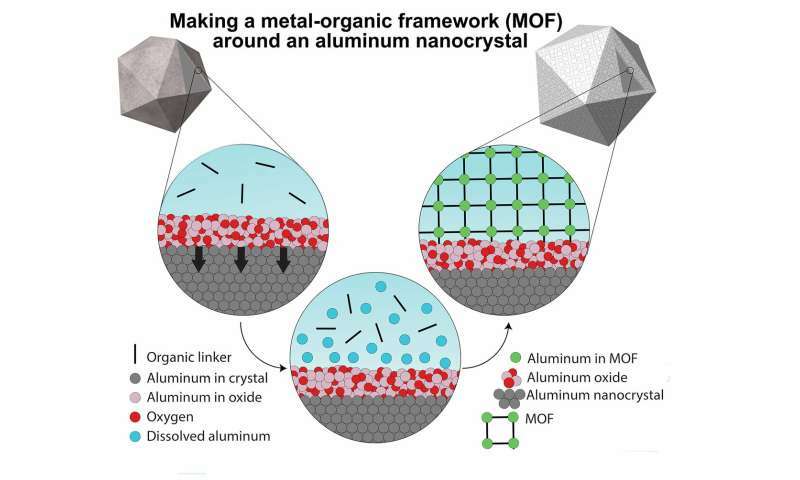 For MIL-53, the CO2-trapping MOF, he showed that the catalytic activity of the plasmonic aluminum nanocrystal increased substantially when the MOF was in place.